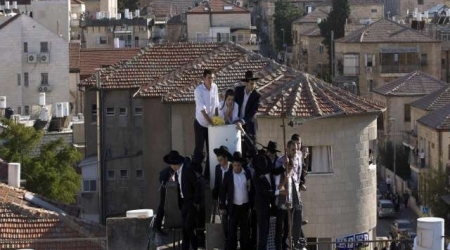 A large group of settlers from Kiryat Arba spend the afternoon of Sunday, 11 October, playing hate songs through a loud speaker to residents of the Hebron neighborhood of Jabal Juhar. These antics continued in the presence of a soldier and police officers who took no action to stop them. During the incident, settlers threw rocks at the neighborhood. 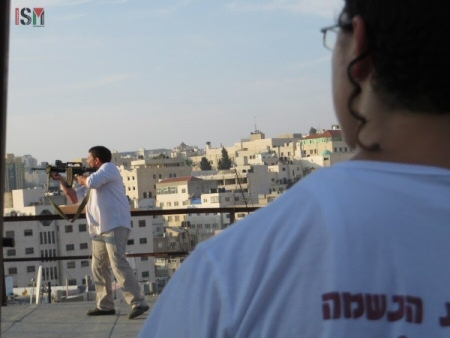 Over the last few weeks, volunteers in B’Tselem’s camera project documented a few incidents which are just part of their daily lives, including repeated harassment by settlers, while security forces look on. It was another emotional day for Palestinians in al-Khalil, (Hebron) after the burial of Muhammad al-Jabari who was shot to death by Israeli forces near the entrance to the illegal Kiryat Arba settlement. occupation forces use of violence which has now claimed the lives of nearly 20 young Palestinians in just one week. The demonstration was met with extreme violence by the Israeli military which settlers in the Tel Rumeida neighborhood gathered to watch on Saturday afternoon. The Shamsiyyeh family’s home has long been the target of violence from Israeli settlers who have thrown rocks and other debris as well as poisoning their water tanks on several occasions and even cutting their water pipes on the roof. Today, settlers again filed onto the family home’s roof to watch the Israeli military assault on Palestinians in Bab al-Zawwiya, some armed with machine guns. Israeli occupation forces predictably did nothing to calm the situation or remove the settlers from the roof of the family home. One settler sprayed pepper spray from the roof, gassing the family and subsequently himself. Israeli forces allowed him to leave with the pepper spray without asking a single question. Just a few hours later, a settler armed with a machine gun, lightly slung around him just like an accessoire, came onto the roof. Soldiers close-by refused to ask the settler to leave from the private Palestinian family home’s roof. The settler then suddenly pointed his machine gun at Palestinians, including small children, on nearby houses roofs. Soldiers at first watched the events unfold only to join the settler on the roof, taking orders from him on what to do. 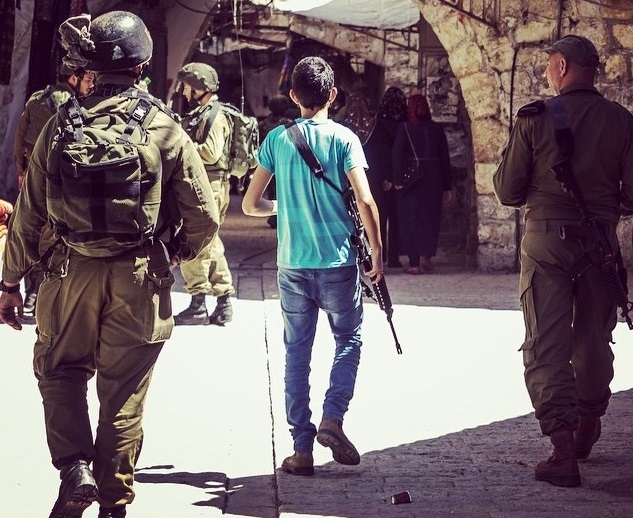 In occupied al-Khalil (Hebron), it has been apparent that settlers rule the military, both through demanding arrests and ID checks of Palestinians and through getting away with any transgression of Palestinian’s human rights by being handed total impunity by the occupying forces. This is especially disturbing since a West Jerusalem mayor has publicly called for settlers to carry guns amidst a high pressure situation with exploding violence across the occupied Palestinian territories. In the Tel Rumeida section of al-Khalil, just days ago, settlers held a large march up the hill chanting “Death to Arabs” and burning Palestinian flags. Israeli army choppers flew in the sky of the Old City of Occupied Jerusalem on Sunday morning. 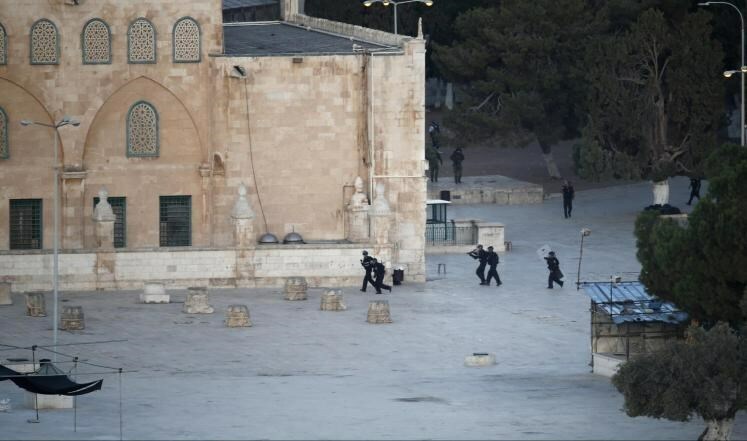 Meanwhile, groups of Jewish settlers stormed the Aqsa Mosque under protection of Israeli forces. Violent clashes were later reported on Sunday evening between Israeli forces and Palestinian youths in different towns and districts of the holy city. Eyewitnesses said Israeli choppers flew over the city for hours in the morning which increased Palestinians’ fears that Israel might commit new crimes against Palestinians in Occupied Jerusalem. A Palestinian youth, on Sunday, sustained light burns after being pepper-sprayed by three Israeli settlers in Jerusalem city. The youth, who was working at one of the shops at Jaffa Road, one of the longest and oldest major streets in Jerusalem, was attacked by three female settlers, causing him minor burns. The Israeli police claimed the attackers were apprehended. Three Israeli female settlers assaulted a Palestinian man working in a store on Jaffa Street in occupied Jerusalem on Sunday. The Palestinian man was directly targeted with tear gas in his face, eyewitnesses said. 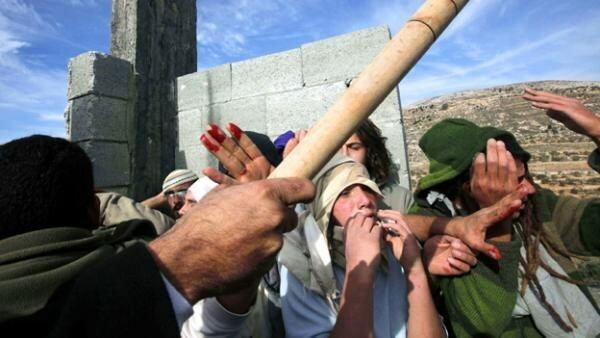 Israeli sources said that the settlers used pepper spray on the Palestinian before they were arrested by Israeli police. Tensions have risen sharply over the past week across occupied Jerusalem following a surge of violence by Israeli settlers against Palestinian people and their properties. Palestinian medical sources have reported, Sunday, that a young Palestinian man died of serious wounds he suffered Saturday, after being rammed by an Israeli settler’s car, in occupied Jerusalem. The Palestinian, identified as 'Ata an-Noury, suffered a very serious injury, and was moved to a hospital where he died of his wounds. 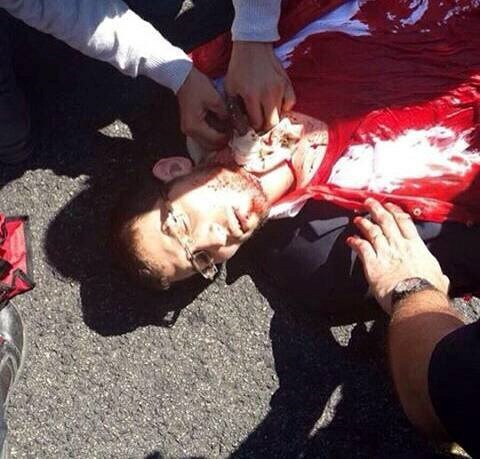 He was hit with the setter's car in at-Tour town, east of occupied Jerusalem, and the settler fled the scene. In related news, more than 55 students of the Al-Quds-Abu Dis University, near Jerusalem, and Khaddoury College in Tulkarem, have been injured during clashes with Israeli soldiers who surrounded their colleges. At least 20 students were injured, including eight by live Israeli army fire, in Khaddoury College, and were moved to Thabet Thabet Hospital for treatment. One of the wounded was moved to the Zakat Hospital in Tulkarem due to the seriousness of his condition. In Abu Dis, at least 35 students were injured during clashes that took place in front of their college. The soldiers fired dozens of rubber-coated steel bullets, live rounds, gas bombs and concussion grenades. On Sunday at dawn, a Palestinian mother who was five months pregnant was killed along with her 2-year old child , while at least four other family members were injured, after the Israeli Air Force bombarded the Zeitoun neighborhood in Gaza City. On Saturday, the Palestinian Ministry of Health (MOH) has reported that Israeli soldiers shot and killed seven Palestinians, including two children, and that the number of Palestinians shot dead by Israeli gunfire in two days is 14, while more than 240 have been injured. 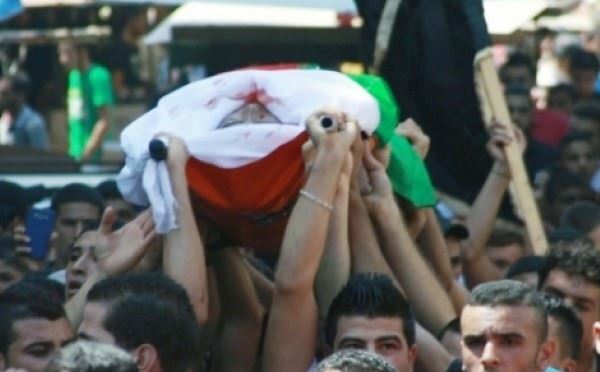 It added that 21 Palestinians, including 12 in the West Bank, have been killed since October 1st, and 1100 injured. A senior Israeli officer suffered an injury after a small iron ball struck his head near Kiryat Arba settlement, east of al-Khalil city, according to Hebrew media sources. A Palestinian young man is believed to have used a slingshot to throw the iron ball at the officer. Following the attack, Israeli soldiers and plain-clothes officers with the help of a helicopter and settlers launched a manhunt for the perpetrator in the nearby Palestinian areas. The invading troops and settlers broke into several homes in neighborhoods around the Old City of al-Khalil and physically assaulted a Palestinian woman during the campaign. A young man identified as Muhanad Qafisha was kidnapped from his home during one of the raids, according to eyewitnesses from the city. The eyewitnesses added that the settlers attacked Palestinians in the neighborhoods of Abu Sneineh and Karantina and clashed with the residents who defended themselves. 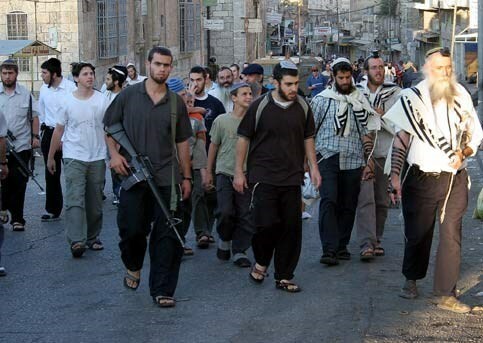 A horde of armed Jewish settlers on Saturday evening stormed, under military protection, the villages of Qasra and Jalud south of Nablus city in an attempt to attack Palestinian homes and property. Local sources told the Palestinian Information Center (PIC) that dozens of armed settlers from different settlement outposts around the villages tried with the help of Israeli soldiers to attack homes, but the intensive presence of local residents and security guards inside and around the neighborhoods foiled the attack. Local people have been designated recently as security guards to protect and defend different West Bank towns and areas against settlers' attacks. Scores of Jewish settlers on Friday evening invaded under military protection the areas of Abul Hasin and Jabal Johar in al-Khalil city and attacked Palestinian citizens and their property. Local sources reported that the settlers torched a Palestinian car and attacked with the help of Israeli soldiers the residents and their homes in those areas. They added that the soldiers intensively fired tear gas grenades at the citizens who tried to fend off the attackers, causing many of them to suffocate. 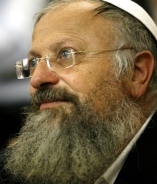 Fanatic Jewish settlers attacked Palestinians’ houses at dawn Saturday to the east of al-Khalil in southern West Bank. 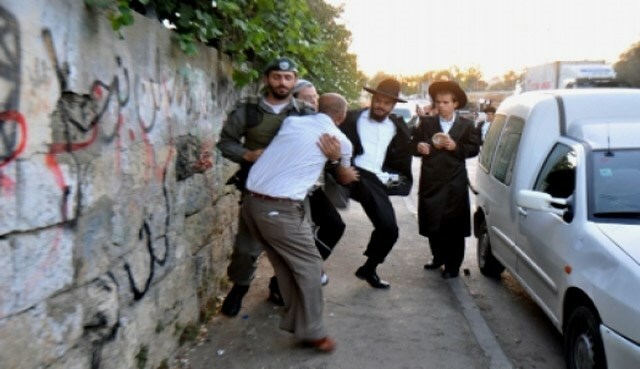 Local sources revealed that groups of extremist Jewish settlers attacked Palestinians’ homes adjacent to Kiryat Arba settlement with stones under the protection of Israeli forces. Some of the Israeli soldiers cursed Prophet Mohammad (peace be upon him) so as to provoke residents, the sources pointed out. The settlers broke the windows of two homes of Dana and al-Jabari families, the sources added. The families called on the neighborhood’s residents to head to the location and help them protect their houses. Palestinian villagers in Qusra town, south of Nablus, managed Friday evening to prevent Israeli settlers’ attack on their town. Head of the village council Abdul Azim Wadi told PIC reporter that a group of settlers tried to broke into Qusra town for the second time in a row. Local residents confronted the settlers and forced them to leave the area. Israeli soldiers immediately arrived to the area and started firing heavy tear gas bombs and rubber bullets towards the villagers. No injuries were reported. 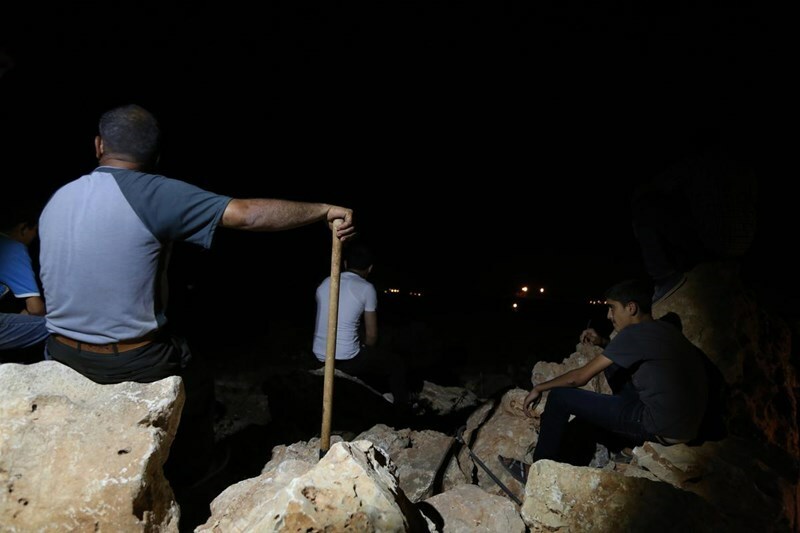 Israeli settlers from the illegal Israeli outpost Yesh Koudec tired late Thursday to break into the village; however local resident prevented their attempt. Israeli soldiers shot and critically injured on Friday midday a Palestinian youth from Hebron at the entrance of Kriyat Arba illegal settlement. The Israeli army claimed that the youth tried to stab a soldier and take control of his gun. Palestinian eyewitness assured media that the youth carried no knife of any other sharp objects and that soldiers shot him without any reason. Local sources said that the injured youth was left bleeding on the ground and that troops did not allow Palestinian medics to provide him with medical help. Unconfirmed reports say that the injured youth are from Al Ja’bari family and that his home is just at the entrance of the settlement. A group of Israeli settlers attacked Al Ja’bari family home with stones and surrounded the house while family members are still inside. 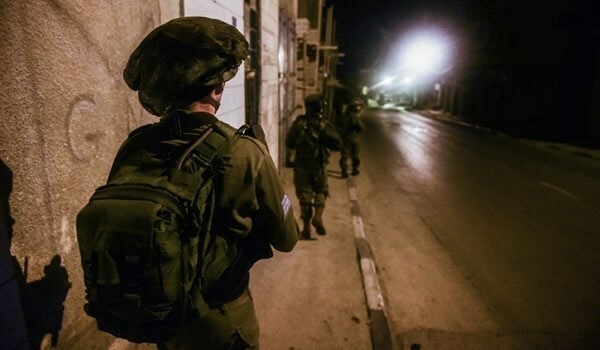 The Israeli army claimed that on Thursday night another youth stabbed a settler at the enbtrance of the settlement and took his weapon and fled the scene. The army says they are still searching for the attacker. Four Palestinian citizens on Thursday evening suffered injuries when Jewish settlers hurled stones at cars traveling on a road to the south of Nablus city. A Palestinian medical source told the Palestinian Information Center (PIC) that Palestinian minister of communication Allam Mousa was injured when settlers stoned his car near Yitzhar settlement. They added that three citizens also suffered injuries, one of them seriously, when their vehicles came under similar attack near the same settlement. An Israeli settler stabbed Friday morning four Palestinian citizens in Dimona south of Israel, Israeli sources said. The four injured Palestinians suffered slight and moderate injuries in the attack, the sources added. Israeli police claimed that an investigation has been opened into the attack. Over the past weeks, Israeli settlers carried out a number of deadly attacks against Palestinians, most notably was burning to death an 18-month-old baby and his parents in Nablus. Four Palestinian workers were injured on Friday morning when an Israeli settler attacked with a knife in Daymona in the Negev. Two of the injured were identified as Ahmad Al Azah and Sa’di Rasrass, from Al Fowar refugee camp in the southern West Bank city of Hebron. According to Israeli police report the settler stabbing attack was politically motivated and that police officers have managed to arrest him. Elsewhere, a group of Israeli settlers uprooted on Friday morning olive trees owned by farmers from the village of Rojeeb, to the south of the northern west Bank city of Nablus. According to Palestinian famers, settlers have stepped up their attacks targeting olive trees as the season of olive harvest began this week. After Palestinian activists and political factions called for a day of protest against Israeli violations, the Israeli government decided to close Jerusalem, and only allow Palestinian men who are above 50 to pray on Friday at the Al Aqsa mosque. 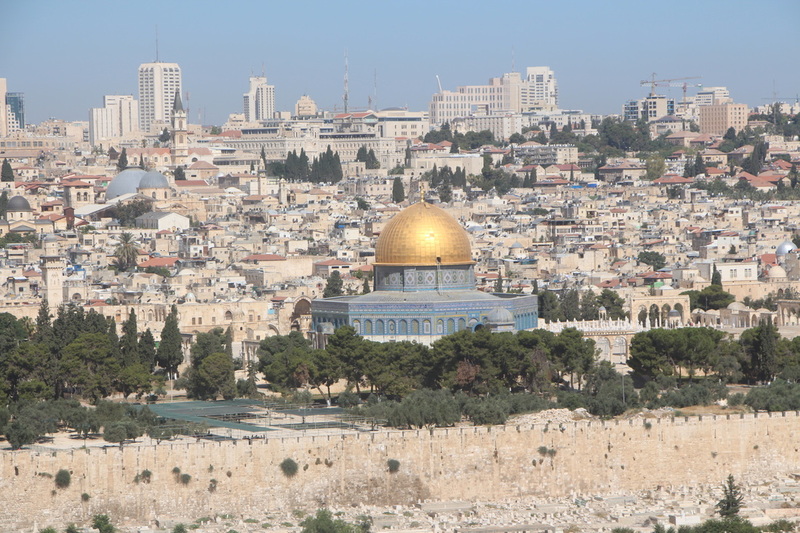 The recent wave of clashes erupted over a week ago, as Israeli settlers under the protection of the Israeli army escalated their invasions of the Al Aqsa Mosque in Jerusalem’s old city. According to the Palestinian ministry of health, seven Palestinian have been killed, including a child, and more than 750 others have been injured by Israeli military live gunfire, rubber-coated steel bullets and tear gas since the start of October. In related news, the Israeli mayor of Jerusalem, Nir Barkat, urged Israeli residents of Jerusalem to carry weapons. On Thursday one Palestinian was killed in Tel Aviv, and two others were arrested in separate incidents, one in Al Afoula near Tel Aviv and one in Jerusalem, for allegedly attempting to stab Israeli soldiers and settlers. On Wednesday, an armed Israeli settler shot and seriously wounded, a teenage Palestinian girl, 18 years of age, near the Council Gate (Bab al-Majles) in the Old City. The Israeli shooter claimed that the girl tried to stab him, while eyewitness accounts contradicted his allegation. 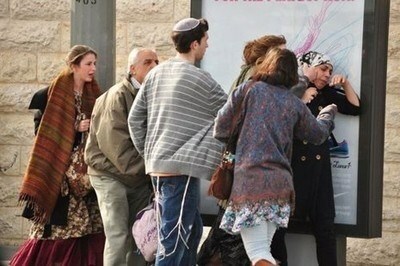 The Israeli police alleged the young woman “stabbed the settler in the neck, and tried to escape, before he shot her." But Palestinian eyewitnesses said the wounded girl, from Sur Baher in Jerusalem, did not carry a knife, or a weapon, and that the Israeli assailant was harassing and insulting her, near Bab al-Majles (The Council Gate) before removing her hijab, covering her head, and shooting her when she tried to push him away. On Wednesday night, October 7th 2015, a large group of settlers harassed, insulted and physically assaulted Palestinian residents and internationals in the Tel Rumeida neighbourhood of occupied al-Khalil (Hebron), injuring several people. 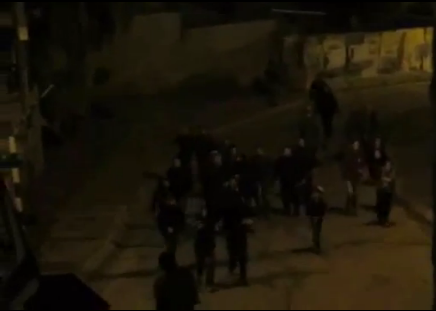 Around 08:00 pm, more than 50 settlers from the illegal settlements within the town, most of them children and teenagers, accompanied by a few adults, marched around the Palestinian neighbourhood of Tel Rumeida, chanting insults and hate-speech, calling for the death of Arabs. The group was not only chanting racist abuse, but also demonstrated a high level of violence and aggression towards the Palestinian residents of the neighbourhood. After marching through the streets loudly chanting, they attacked Palestinians right outside a shop, running towards them and beating them, and hurling rocks at Palestinian youth and internationals documenting these violent assaults. Instead of intervening, Israeli forces watched these attacks happen at first just to point their loaded guns at Palestinians that just a few seconds before were standing in a hail of stones, threatening to shoot. Two persons were injured with stones thrown by the settlers, a Palestinian youth in his hand and an international in his chest. 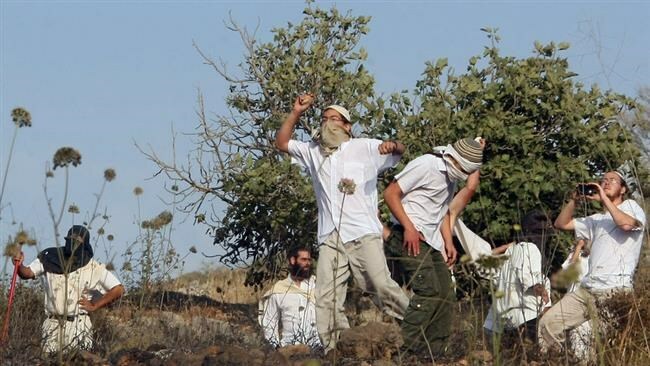 In the meantime, the settlers openly picked up more stones and rocks from the ground, attacking families that opened their main gates to find out what the shouting was about. Again, instead of preventing or stopping attacks by the settlers, the army violently pushed Palestinians to move back into their homes, yelling at them. All complaints made by Palestinians against the attacks by the settlers were ignored by the soldiers. In addition, the Israeli soldiers themselves violently attacked several Palestinians and beat them. Many families rushed into their homes upon hearing the yelling, locked their doors and then had to watch the settlers chanting abuse at them from behind their windows – protected only by the metal grids installed in the past due to frequent settler attacks. When the march proceeded down the hill towards Shuhada checkpoint, where over two weeks ago the Israeli army gunned down and killed the Palestinian student Hadeel al-Hashlamoun, more than two dozen activists from Youth Against Settlement arrived to document the racist abuse and attacks against Palestinians. Israeli forces that by then finally arrived, immediately stopped the Palestinians and isolated them in an alley, preventing them from going anywhere. The group of settlers, on the other hand, was allowed to keep on chanting racist abuse. They also burned Palestinian flags, cheering and clapping. Israeli soldiers were getting their guns ready, facing the Palestinians that were clearly upset when their flags were being burned, but did not do anything to stop the flag-burning. Infamous, aggressive settler Anat Cohen repeatedly attacked an international observer while she was standing right in front of a police car with two policemen inside. The Israeli police watched the whole incident while sitting in their car, and did nothing to intervene. When the international observer was ordered by soldiers to move towards the Palestinians detained on the other side of the road, Anat Cohen pushed her as she was passing in front of the police car, and her daughter kicked the international observer in the stomach. Soldiers still did not intervene and refused to take a complaint about this attack, forcing the victim and another international to leave. According to the International Solidarity Movement, "This incident again illustrates the power settlers hold over the Israeli army. Even when attacking Palestinians – or internationals that enjoy a greater protection than any Palestinian – settlers enjoy the protection of the Israeli army." Israeli policemen on Thursday afternoon opened fire at a Palestinian young man after he allegedly attempted to stab a Jewish settler and grab a gun from a security guard at the light rail station in Sheikh Jarrah district, east of Occupied Jerusalem. The Hebrew media claimed the settler suffered a serious injury in his neck, pointing out that the attacker was also seriously wounded. Following the attack, the Israeli police cordoned off the area for investigation. Palestinian citizens last night warded off an attack by Jewish settlers on their homes in a village east of Qalqiliya city and forced them to escape. Local sources reported that 15 settlers rallied at the entrance to Jeet village and attempted to attack nearby homes, but citizens alongside members of a popular committee appointed recently to guard the village were able to fend them off. They added that Israeli soldiers stormed the village immediately after the settlers left the area. Violent clashes erupted Thursday morning between Palestinian students and Israeli Occupation Forces (IOF) in Takoa town east of Bethlehem to the south of occupied West Bank. The clashes broke out when Israeli forces suppressed a peaceful march organized by Palestinian students in defense of al-Aqsa Mosque. Several youths suffered breathing difficulties after inhaling teargas that was heavily fired by Israeli forces during the clashes. Along the same line, a 20-year-old young man was detained after IOF stormed and violently searched his home in Hussan village east of the city. Several other local homes were stormed at dawn today. Meanwhile, Israeli settlers attacked Palestinian vehicles while passing by Bethlehem bypass road. Some of the vehicles were damaged during the attack.